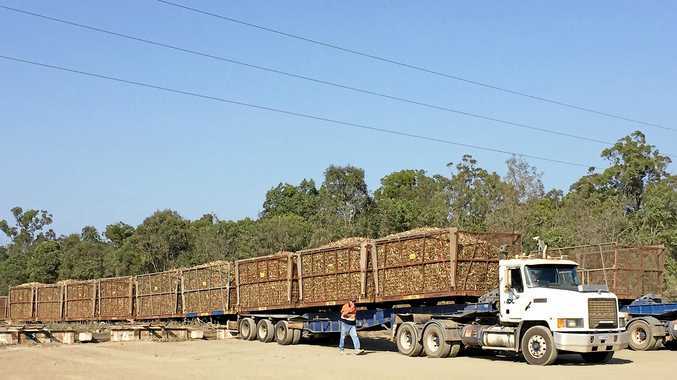 The reduction of 27,000 heavy transport vehicle movements from sections of the Bruce Highway is among a raft of positive outcomes flowing from a planned 36km extension to the mill's cane railway network linking Cordalba and Wallaville. At its ordinary meeting this week Bundaberg Regional Council adopted a Temporary Local Planning Instrument, which will allow the mill to undertake the work. The Deputy Premier and Minister for Transport, Infrastructure and Planning, Jackie Trad approved the TLPI as meeting the relevant sections of the Sustainable Planning Act 2009. Council planning and development spokesman Ross Sommerfeld said the TLPI would streamline the development application and assessment requirements for the mill's proposal to construct the new cane railway on identified corridors traversing Cordalba, Booyal and Duingal and affecting around 28 properties directly and 19 properties indirectly. "This project represents a $14.3 million investment by Isis Central Sugar Mill and is key infrastructure required to access some 400,000 tonnes of cane from the Wallaville/Gin Gin area,” Cr Sommerfeld said. "The cane railway construction is expected to employ 18 people and 41 people following construction. The removal of a significant number of heavy vehicle movements from the highway represents a huge safety initiative as well as limiting road damage and maintenance costs. "The Isis Mill have already started discussions with affected property owners and this level of contact has allayed some of the concerns the State government had expressed when the TLPI was submitted for approval. Cr Sommerfeld said the extension was the first stage of the Isis Mill's long-term strategy to extend its reach into existing and future cane production areas. The adopted TLPI will come into effect from September 25 and expire on September 24 next year unless otherwise repealed.